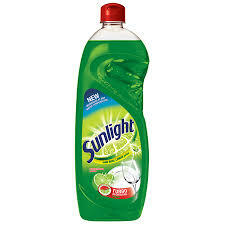 In 1971, the company rebranded its Sunlight washing-up liquid in the UK. The new packaging for Sunlight Lemon Liquid had a large picture of a lemon, and only featured the words "washing up liquid" in small letters. There were complaints that children might mistake the product for lemon squash and drink it. The matter was even discussed in the House of Lords. The company responded by changing its packaging. In South Africa, the brand is used for bath soap, dishwashing liquid, washing powder and fabric conditioner.